Are you Prepared for the New Sentencing Guidelines? The new sentencing guidelines can be considered the biggest change in health and safety law for 40 years. The overall objective is to provide a comprehensive guide for judges and practitioners delivering consistency. In turn this will result in bigger fines for larger organisations and potentially increased imprisonment thresholds being imposed on all levels of culpable staff. In this blog I will concentrate on the impact of these new guidelines on individuals, which includes company directors, senior officers and health and safety professionals. 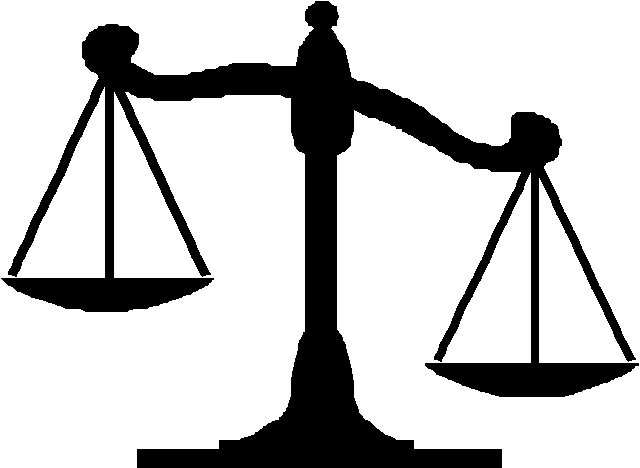 What are the New Sentencing Guidelines? The new sentencing guidelines for health and safety offences, corporate manslaughter and food and hygiene offences have come into force in England and Wales. As from 1st February 2016, Crown Courts and Magistrate Courts will be imposing greater fines and possible imprisonment for those who have deemed to neglect their duties under the Health and Safety at Work etc. Act 1974 Section 37, including both individuals and organisations. Offender’s ability to pay the imposed fine and whether the imposed fine will make a significant economic impact. In some cases, imposing a fine which will see an offending organisation be put out of business may be an acceptable consequence. In addition, if there have been any fatalities within the organisation as a result of senior management failings, poor attitudes by senior management, policies or systems of accepted practices which have led to gross breach of the duty of care, then corporate manslaughter charges may apply in addition to or separately from any individual person’s neglect. The court will use a series of matrices to determine the offence category using culpability and harm factors. A pedestrian is injured after being knocked over by a forklift truck travelling at a low-speed, in a workplace where there were insufficient barriers to segregate pedestrians from vehicles. The pedestrian endured bruising and a broken arm. Previously, this incident may have been dealt with as a breach with a penalty not exceeding £20,000 in a Magistrates court. 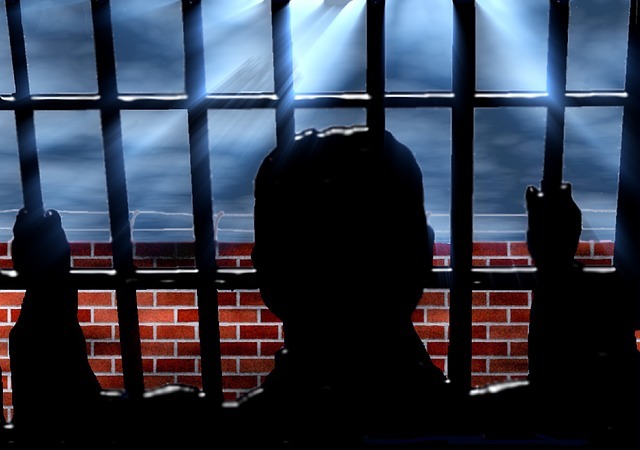 If it was attributed to neglect of an individual under Section 37, this could have resulted in a prison term not exceeding a year in the same court. Since 1st February 2016, judges are basing decisions and sentences on the seriousness of harm risked not just on actual harm. 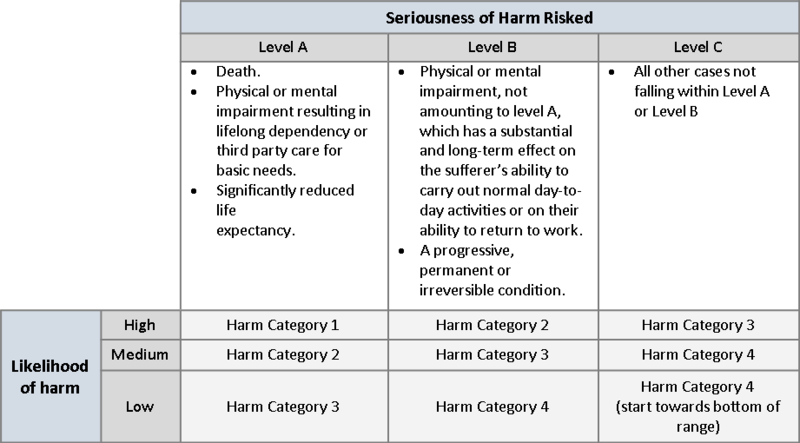 For example where there could have been a fatality or physical or mental impairment resulting in lifelong dependency on third-party care for basic needs, or significantly reduced life expectancy, this will constitute a Level A category of seriousness of harm risked. Judges must then consider the likelihood of harm, which again is split into three categories; high, medium and low. If the harm has actually occurred, then this must inevitably be in the high likelihood category. Similarly, if there was more than one person at risk, this would also reflect a high likelihood of harm, as judges now have to take this into account as an inflationary factor. As a result, where an individual was considered to be negligent, the judge would have little choice but to award a custodial sentence between 18 months to 2 years, starting at a minimum tariff of 18 months. Furthermore, even if the actual harm had not occurred, but could have occurred, the same tariff would apply if there had been a deliberate breach or flagrant disregard for the law. Put simply, where an individual senior officer knowingly commits a breach, which could have led to a Level A risk category, they could now face a custodial sentence of up to two years, irrespective of the actual outcome. As a health and safety practitioner, it is important that you have a clear understanding of these new guidelines, which will better equip you to inform individual decision makers within your organisation of the potential consequences of failures to comply with the criminal health and safety law. As outlined heftier fines, prison sentences can now be calculated by judges affecting all staff members not to mention organisations’ reputations. For more detailed information, click to read the definitive guide from the sentencing council. Health and safety law is featured heavily in the NEBOSH National General Certificate in Occupational Health and Safety (NGC), covering criminal law, civil law, court systems and the consequences of failing to comply, giving delegates a good understanding of both organisational and individual statutory duties.